In a previous article, I talked about how introductory videos can boost the reach and appeal of your product. But you know what’s better (subjectively speaking) than a video that you hire someone else to make for you? An animated video that you can make yourself! Cartoons and animations speaks to the inner child in us that still craves to be sitting in front of the telly watching Tom & Jerry all day long! There’s no better medium than animation to present your business in a cool and fun way. And it saves you money since there are no costs involving cameras, location, actors, crew…you get the picture! 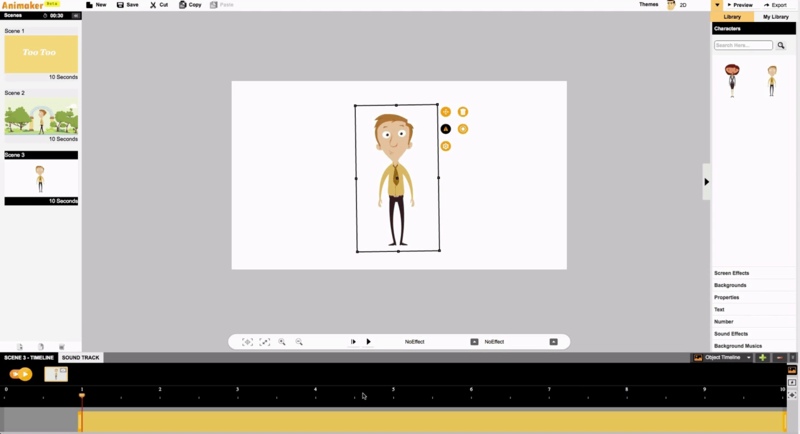 Animaker is an amazing online tool for creating slick looking animation, replete with pre-animated characters, sundry backgrounds, camera movements, sound effects and music that can be combined with your own assets like voice-overs. 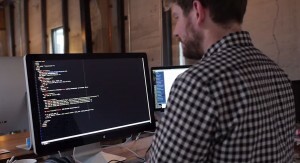 Animaker has a team of skilled animators with the capacity to churn-out a huge library of assets and they wanted to craft an experience that would be easy for anyone to pick up and start creating animations. “The cheaper alternatives to animation studios simply offer a template based tool which has limited capabilities and the quality of the videos are low”, explains Raghavan on how Animaker is better than similar services by providing advanced features like keyframing and even a patent-pending multi-camera effect. The online interface of Animaker looks like a professional video editing app like Adobe After Effects or Apple Motion but it is much simpler in practice and runs entirely in your browser! You have scenes and backgrounds on the left, assets library on the right and timeline at the bottom. Simply drag the the assets onto the selected scene and edit the different properties of the character, keyframe their position, change camera angles and structure the overall clip in the timeline. All this is done in a simple and intuitive process and if you put some effort to it, the result that you can get won’t look anything less than studio grade! There are different pricing tiers which unlocks the output length, resolution and the number of effects that are made available. There are also customised business and educational institution plans involving multi-user workflow and custom assets. Animaker is currently in invite-only beta stage, so head over to https://www.animaker.com/register for an invite. Also check out their YouTube channel which is regularly updated with tutorials on using the service. ‘Pickasound’ adorns the rock star in you!